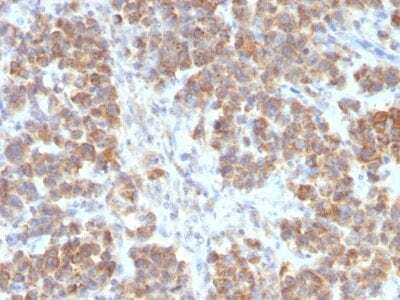 VEGI is an anti-angiogenic cytokine that belongs to tumor necrosis factor superfamily, member 15 (TNFSF15). Endothelial cells. Colon, intestine, placenta, lung, liver, kidney, pancreas, spleen and prostate. VEGI is an anti-angiogenic cytokine that belongs to tumor necrosis factor superfamily, member 15 (TNFSF15). This protein is abundantly expressed in endothelial cells, but is not expressed in either B or T cells. The expression of this protein is inducible by TNF and IL-1 alpha. This cytokine is a ligand for receptor TNFRSF25 and decoy receptor TNFRSF21/DR6. It can activate NF-kappaB and MAP kinases, and acts as an autocrine factor to induce apoptosis in endothelial cells. This cytokine is also found to inhibit endothelial cell proliferation, and thus may function as an angiogenesis inhibitor. Reduced expression of VEGI has been reported as a marker of poor prognosis in breast cancer. 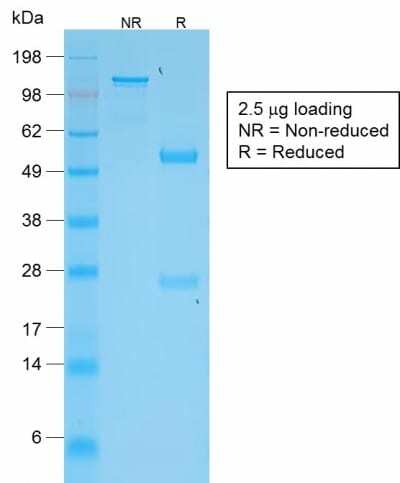 Catalog number key for antibody number 2052, Anti-TNFS15 / VEGI (VEGI/2052R) The prefix indicates conjugation, followed by the antibody number and size suffix. Parr C, Gan CH, Watkins G, Jiang WG. 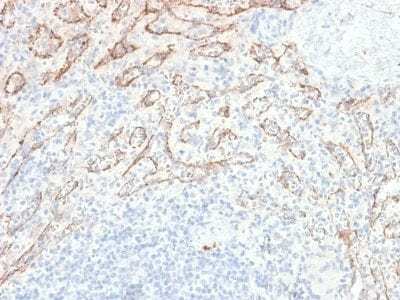 Reduced vascular endothelial growth inhibitor (VEGI) expression is associated with poor prognosis in breast cancer patients. Angiogenesis. 2006;9(2):73-81.|Zhai, Y., et al. 1999. Inhibition of angiogenesis and breast cancer xenograft tumor growth by VEGI, a novel cytokine of the TNF superfamily. Int. J. Cancer 82: 131-136. 5.|Zhai, Y., et al. 1999. 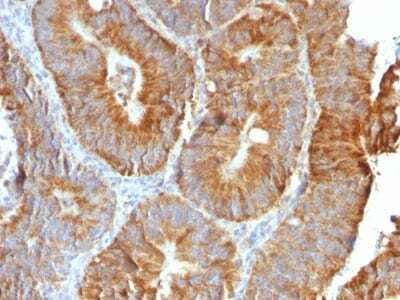 VEGI, a novel cytokine of the tumor necrosis factor family, is an angiogenesis inhibitor that suppresses the growth of colon carcinomas in vivo. FASEB J. 13: 181-189.